SQL Server 2016 has been out for a few months now, with Cumulative Update 2 coming out in late September. Yesterday I was running into issues with deploying CU2 to one of my environments. Typically, when running Availability Groups (AGs) you patch all of the secondary replicas, and then fail over to one of those which will then upgrade the user databases (SSISDB caveat not included). In this case after applying CU2 to one of the secondary replicas it was no longer able to communicate properly with the primary, and so was not synchronizing. This was indicative of an issue with the AG HADR endpoint (yes, still called a database mirroring connection). Figuring that the connection issue was with the newly patch secondary I queried for the connection error on the secondary. An error occurred while receiving data: ‘10054(An existing connection was forcibly closed by the remote host.)’. Having checked the error log and knowing that there were no login errors I knew that there was something else going on. The servers in question were not fresh builds of SQL Server 2016, rather they had been upgraded from earlier versions, with the AGs being upgraded along the way. 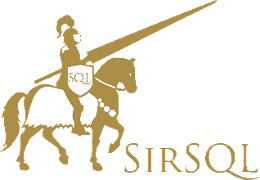 Older versions of SQL Server used the RC4 encryption algorithm on the endpoints, and so I was curious as to whether that had been changed as a part of any of the upgrade processes. I thought there was a chance that this was the issue, and wanted to change it, but in a non-breaking way (as there was another secondary replica that was using this algorithm). Fortunately, the SQL Server team provided the ability to use more than one algorithm on and endpoint (or even none). By altering the endpoint I could specify a newer AES algorithm, with a fallback to RC4. All it required was an alter statement to be executed on each of the replicas. As soon as this command was executed the AG picked up, the databases started synchronizing once more, and things were back to a happy state. As a recommendation, check your endpoint encryption algorithms prior to applying any cumulative updates, or service packs to SQL Server, and ensure that they are current (use AES primarily). You also have the option to turn off encryption, but I wouldn’t recommend it. If you are running an older RC4 encryption algorithm on your Availability Group or Database Mirroring endpoints you may lose connectivity when applying 2016 cumulative updates. Update to the newer AES algorithm to prevent this.